Long lasting scented candles make great gifts. Does scent affect how a candle burns? If you love home fragrance, you may find yourself asking this question. Many candle manufacturers also make unscented candles. The majority of unscented candles are white or a natural cream color, but you can also find them in more decorative designs as well. Unscented candles are a good choice for people with fragrance sensitivities, but they are also recommended for use in kitchen and dining areas since they won't interfere with the natural aroma of a freshly prepared meal. Does Scent Affect How a Candle Burns? When choosing between two favorite fragrances, there's no need to be asking yourself, "Does scent affect how a candle burns?" A vanilla scented candle won't last any longer than a rose scented candle, assuming they are both from the same manufacturer and created with the same type of wax, wick, and fragrance oil. Some scents may seem to be stronger than others, but this is mostly a matter of individual perception. When compared to unscented candles, it may first appear candles that have a fragrance tend to last longer. However, this is usually because the same factors that make a candle burn a long time are the same factors that make it have a strong scent. Therefore, it's not the presence of the fragrance itself that is influencing the burn time. Since the type of scent you choose makes no difference regarding how long a candle lasts, it should come as no surprise that color is also not a factor in the life of a candle. When buying candles, you can make your scent and color decisions based on your personal preferences and what best coordinates with the rest of your home décor. Check the product label. To meet the needs of value-conscious customers, many companies are putting an estimated burn time on their candles. While this may not be an exact measurement of how long the candle will last for you, it should be accurate enough to allow you to make a fair comparison. 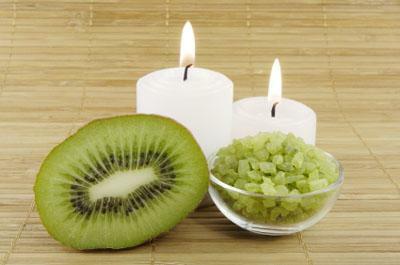 All other factors being equal, candles made from natural wax will burn longer than paraffin wax candles. Soy or beeswax candles are a good choice for long lasting candles, even though they typically cost a bit more than candles made from paraffin wax. When shopping, avoid purchasing candles with excessively large wicks. Think of a large wick as a gas pedal; it delivers more fuel to the flame and makes the candle burn faster. If you prefer to purchase large candles over small votives, look for candles with multiple wicks. This will ensure that no wax is wasted as the candle burns. Avoid burning a candle near drafty windows or ceiling fans. In addition to presenting a fire hazard, keeping candles in these areas will reduce their burn time. Keep the wick trimmed to ¼ inch to make sure the candle burns evenly. After extinguishing a candle, use a toothpick to gently straighten the wick. Candles with straight wicks burn more efficiently.